I led a couple of seminars at the Billy Graham School of Evangelism this week, but we’re the ones who received a blessing by being there. Everything about the week was encouraging to the participants, including Debbie and me. The School of Evangelism staff was wonderful. This was Tom Bledsoe’s last SOE, and he’s been directing these schools for 39 years. Tom’s gracious hospitality and gentle spirit set the tone for the staff team. From the housekeepers to the restaurant hostesses to the program personalities, gracious hospitality was the hallmark of the event. 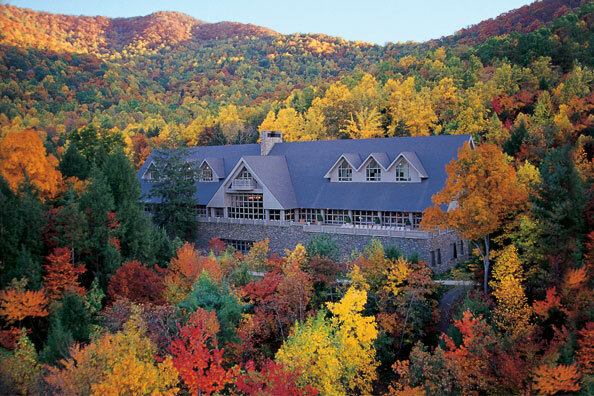 The Cove setting is magnificent — perched on the side of a mountain near Asheville, North Carolina — with postcard views of Blue Ridge Mountain vistas. The design of each building blends appropriately into the natural scenery. Wood, stone, glass, and ironwork give you the sense of rustic luxuriousness providing the perfect backdrop for relaxation and reflection. The soaring chapel steeple punctures the blue Carolina sky, drawing your attention to the glory of God’s natural creation. But under all this beauty, The Cove is equipped with the latest in video, audio, and internet technology which facilitates teaching and learning. We learned that the SOE staff and other BGEA staff members pray for each presenter and each participant by name, before and during the School. The setting, the surroundings, the facilities, and the staff all blend to produce a content-filled, encouraging and inspiring three days. I was challenged again to give new energy to telling the Old Story. Our church has done a good job of engaging with our community in several large projects. But, we also need to bring alongside our social engagement, a renewed commitment to the good news that Jesus brings. Heaven knows our community needs some good news, and we have it. We just need to tell it in ways and on occasions so others can hear it and receive it well. I’ll be sharing more about how we’ll go about that in the next several weeks. Stay tuned.